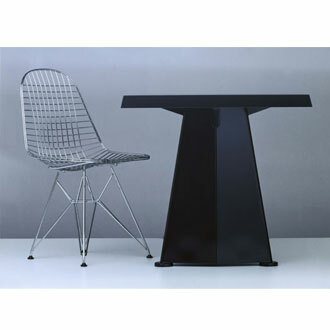 It would be difficult to find another table in 20th century furniture design that matches the striking image of Trapeze. 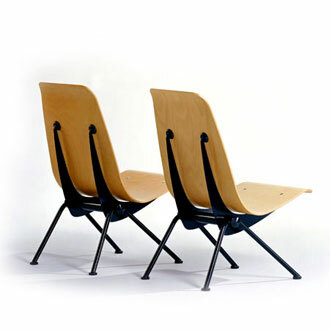 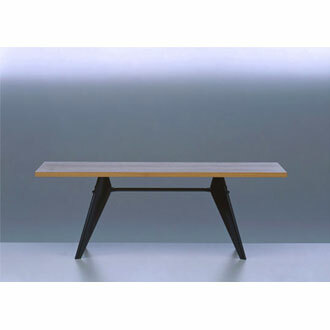 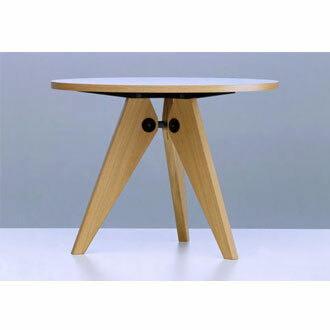 Its name refers to the distinctive shape of the table's paired legs. 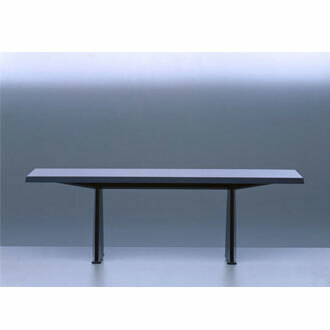 Together with the thick, obliquely canted edges of the tabletop, they give visual emphasis to the construction's stability. 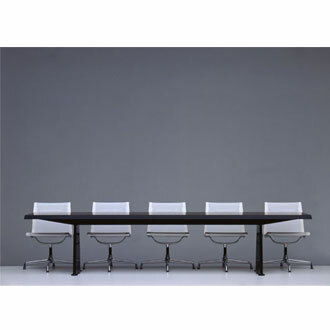 Trapeze works well as a dining table, and also as a conference or work table. 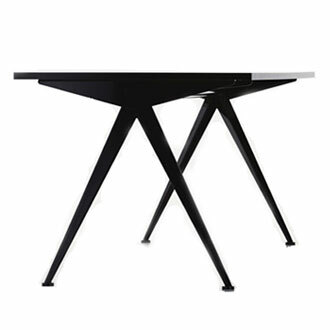 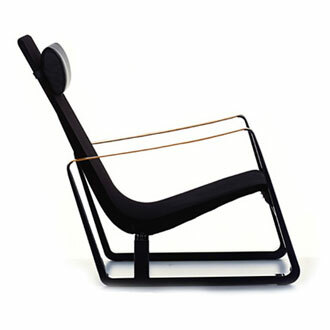 Legs and central traverse made of black lacquered sheet steel. 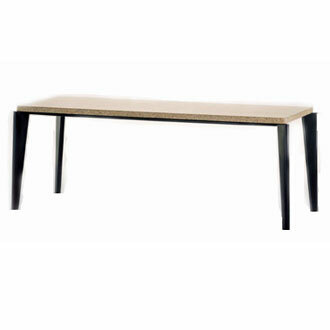 Tabletop with black laminate finish. 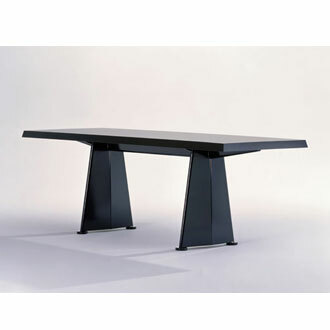 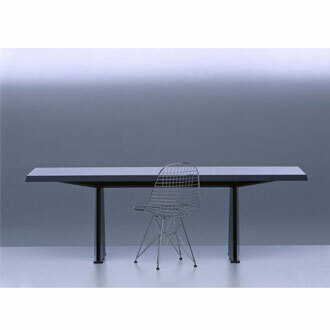 Lacquered steel, black laminate top.